I don’t know what mornings are like in your household but if they are anything like ours, they are often hectic with trying to shower, get everyone dressed, fed and ready to go out & start the day. Breakfast with my two year old daughter seems to take forever at the moment! She hardly ever finishes her own breakfast but will want to try a bit of mummy’s breakfast (Daddy’s too sometimes).Then as we are walking out the door running late for playgroup, she’ll say she wants a slice a toast. It was a complete different story when I produced these overnight oats. She polished the whole thing and asked for more! 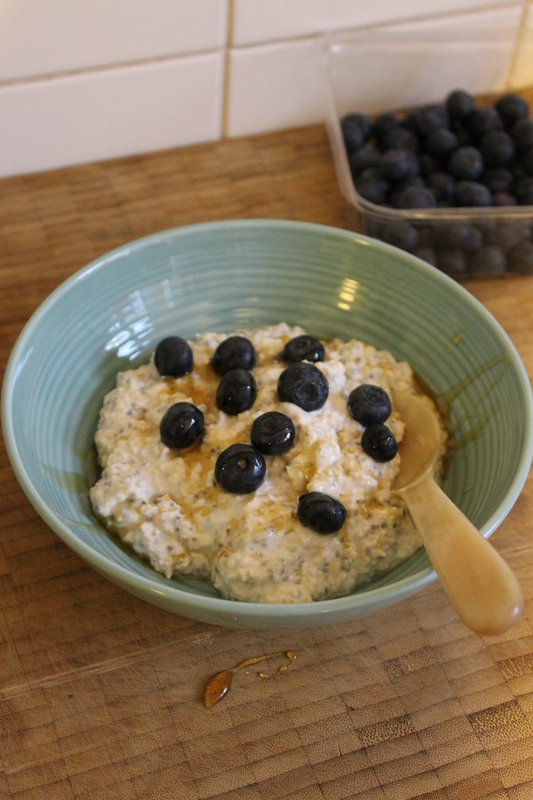 I have tried a few overnight oats recipes over the last few months and I’m now a big fan. It just takes a few minutes to prepare the night before and everyone seems to like it. Every time we have it I wonder why I don’t do it more often! It just requires a little organisation and remembering to prepare it the night before. It’s worth it, give it a try and there’s no waiting for the porridge to cool down! Note: This recipe is for over 1 year olds only as it contains honey. 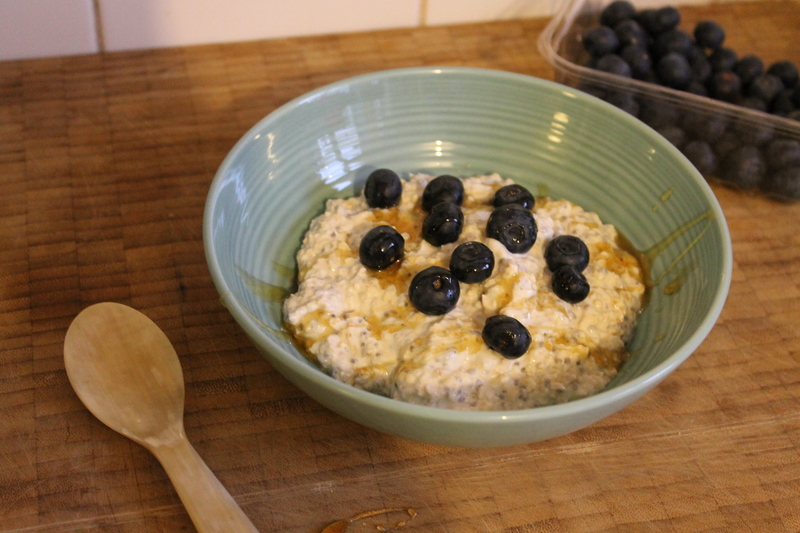 In the morning serve up and top with a handful of blueberries and a drizzle of honey. Next Post Do I really want my toddler to drink Cow’s milk? Thanks for the tip, can you heat it up? Reblogged this on Detour to Nature.